Understanding what is now an entire section of the IT world that used to be an in-house concern requires a working knowledge of the three key components in cloud-based app development. In the past it was both acceptable and expected to run the physical servers and machines that would develop your software. If you were the proprietor of a tech startup, chances are you had to provide the bulk of the physical equipment it took to get a business up and running. You provided not only the machines but also had to consider space, heating and cooling and proper ventilation for the premises on top of maintenance and other potential costs. These days the cost of hosting a server has inflated in tune with increased internet traffic as our culture transitions to a digital-friendly one. Off-site server hosting costs can cut away nearly 80 percent of on-site hosting costs when compared directly while still promising total monthly uptime rates of 98 percent or greater. With the rise of services established solely to remove traditional hosting costs for app development across a wide arrange of platforms, understanding their advantages, disadvantages, definitions, and difficulties remains vital for businesses of any size with an interest in lowering expenses and cultivating stronger profits. By the simple virtue of moving application routing information to a potentially unknown set of IPs and addresses, developing an app in the cloud can require markedly different approaches for the average developer when considering how to structure a program inside a world of previously unconsidered variables. On the other hand, the convenience of taking traditional server stress and growth concerns away from a physical location and moving it to a hosting company often outweighs any potential hiccups in the process. At the most development-light step of the pyramid is the SaaS model, which primarily revolves around using existing applications in place of developing custom models for other application uses. Any service with a login system that uses an outside system such as Facebook application linking or the Gravatar system is an example of SaaS. Development time and costs are lower by linking services together rather than custom-coding from scratch, but developer customization is often limited by the constraints of these existing apps and their tools. Offering a middle ground between customization and ease of use, PaaS services like Microsoft Azure and Amazon Web Services employ a middleware platform for development. Hosting is then forwarded to that middleware’s hosting service. These tools remove some of the from-scratch creation required by supplying tool suites to streamline the process, making them an attractive option for saving time and workload. 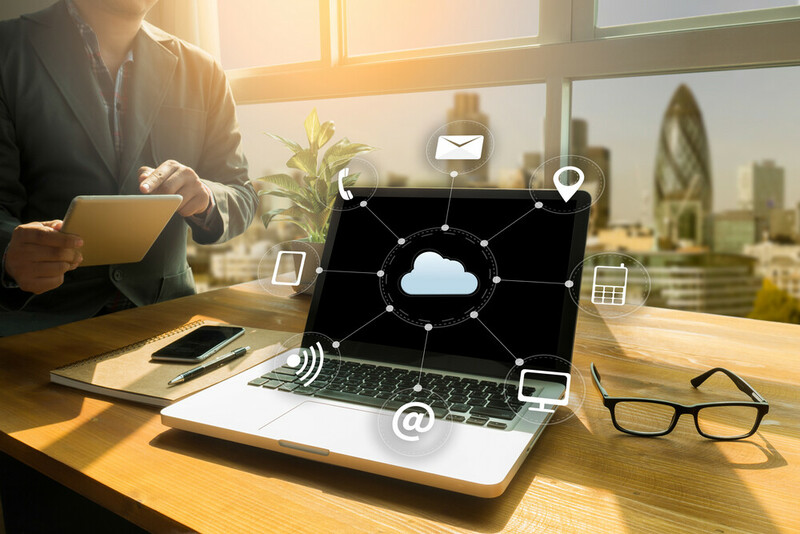 For those who want customization at any cost, IaaS services require developers to create their applications through the company’s platform before moving them to a cloud-based service for hosting. Shortcuts are fewer but ultimate control over the final product is granted to the creator, which offers its own set of boons and disadvantages. While it may seem the only immediate benefit to a middleware development platform might be the speed at which an application may be created, the benefits of being able to tweak, scale and test an application on servers designed to handle real-world stress loads that scale dynamically offers developer insight into potential real-world scenarios that may not be seen outside of a cloud-based service for reasons of cost of maintenance and upkeep alone. Trying to work out the fine points of deploying to a cloud-based service in an IaaS situation may be harder than simply developing within the confines of a PaaS to begin with. There are fewer first-day launch surprises when the system is already well-trodden and understood. So while these options help you focus on your work and take the burden of hosting cost away from you, there are confines of an existing system to work within and to take into account should you consider moving between platforms in the future. Knowing the limits of your chosen host, including the likelihood of cybersecurity breaches and the cost of expanding your storage needs, is just another vital step in plotting out the course of your business. Avoiding some of the early development pitfalls by investing in a middleware platform that takes the burden off of your company is becoming an essential part of any infrastructure plan between a wide range of development styles and needs. Finish more work without concerns about scaling and testing without the headaches of re-configuring your workspace and you just might come to appreciate cloud-based systems.